Note: This article was originally published in 2003. 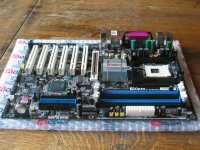 Soon we will have a review of the AOpen AX4SG Max motherboard which is based on the Intel Springdale chipset. Today however we will be taking a look on the Performance Boosting Engine (PBE ) function from AOpen which is added in the new BIOS for this motherboard. 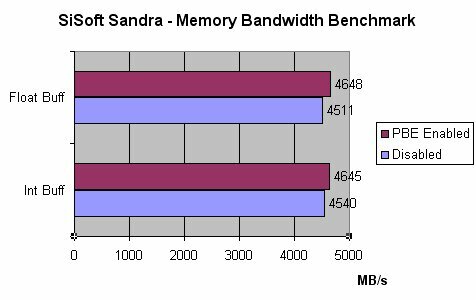 The Performance Boosting Engine is similar to Intels Performance Acceleration Technology (PAT) which is for the Canterwood chipsets only. Some motherboard makers like Asus, Abit and AOpen however, have found a way to do the same kind of trick on the Intel Springdale chipset (Intels PAT was only intended for the Canterwoord chipsets). 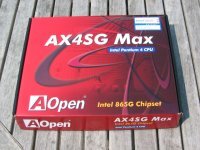 Intels PAT was one of the only things that made a 'major' performance difference between the Springdale and Canterwood chipsets, now lets see how the AOpen AX4SG Max scores with PBE enabled and disabled in some various benchmarks! To enable the Performance Boosting Engine you will need to update the BIOS version of the AOpen AX4SG Max motherboard to version 1.01. By default PBE is disabled, why you are asking? Read this warning from AOpen : Enabling this feature will make maximum use of your RAM modules. This is not standard specification of Intel 865G/865PE chipset. 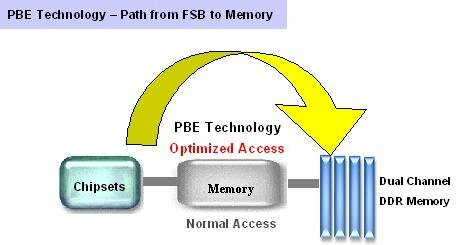 Uneven quality RAM modules in the market may not able to withstand this kind of extreme usage and cause the instability of your system. You are taking your own risk for taking advantage of this benefit. This was the first test, especially the Dhrystone ALU score differs a lot, almost 2%. The Whetstone FPU only a little and the iSSE2 shows around 0.5% performance increase. 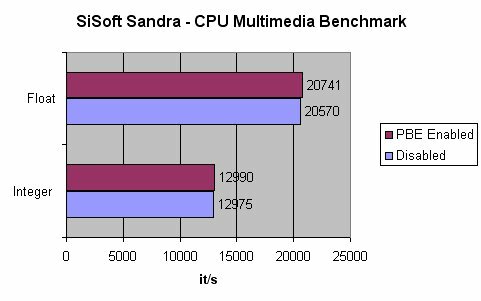 The CPU Multimedia benchmark also shows a small, but nice performance increase, float is a lot more used so this performance increasement of 0.83% will surely do your system some good. The Performance Boosting Engine shows a performance increase of 0.61 seconds in this case. We Rarred 100MB of data with WinRAR, in this case PBE shows us a performance increase of 1 second.